As a portrait photographer, and a bit of a free spirit, I felt like I was working in the commercial world and loosing touch with my core, which is trying to help people. Although I think I achieve that in making people feel comfortable behind the camera and giving them and image that is beautiful and true. I still have the need to give back to those in need. So I have decided to offer my services as portrait photographer to one Non-Profit a month. I think we all want to be able to save the world but we might not have the skill or resources. The only thing I can give is my time, so if you know of a non-profit doing some great work in the community, please get in touch. 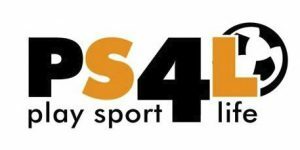 PS4L is an non-profit organisation that makes it their goal to improve the lives of younger children from disadvantaged communities by providing athletic oppertunities that creates a healthier life style. Their mission is to help communities with necessary life skills that leads to a positive impact on every life and community involved. Waves for Change, also known as W4C was founded by Tim Conibear whose philanthropy started in 2009 after starting a small surfing club at the Masiphumelele Township. Together with local volunteers Apish Tshetsha and Bongani Ndlovu, the trio quickly identified surfing as a productive way to engage youths in sharing their personal challenges and grievances faced within the community. After pairing up with leading mental health professionals, the team developed a programme known as Surf Therapy, aimed to relieve the emotional and psychological effects of daily exposure to violence and stress. Early surfing lessons showed that participants noted improved feelings of belonging, strength, trust and confidence reducing the risk of anti-social behavior and repetitive cycles of aggression. Ripple Reading is an NGO that focuses its resources on basic literacy as well as leadership development from fundamental levels of education. Their mission is to develop a model of effective intervention that teaches children how to read with understanding in a safe environment, building up confidence and assisting learners to take control of their lives – academically, socially and emotionally. 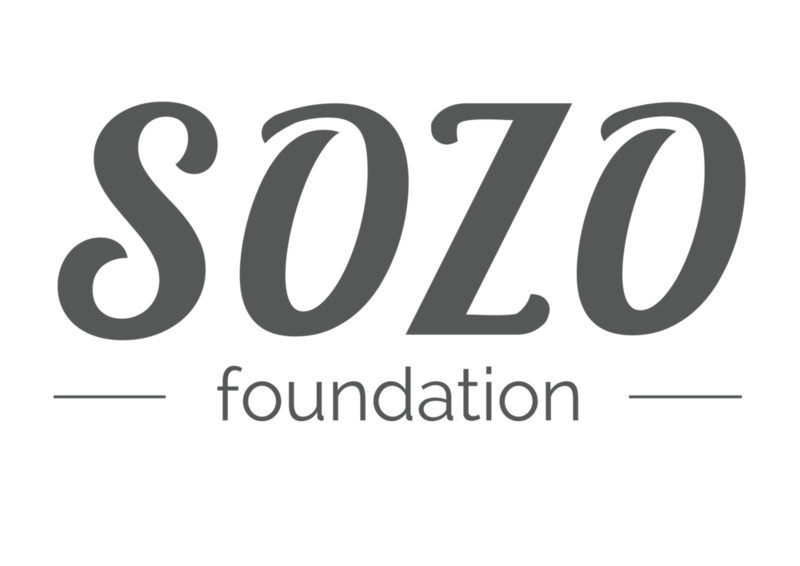 The Sozo Foundation was founded by youth workers, Anton and Elana Cuyler who recognied an aggressive need for transformation within the Cape Flat community of Vrygrond, Cape Town which is notorious for abusive social behavior, violence and gangsterism. The foundation runs five core projects - Educentre, Eden, Design, Care and Youth Café – each specifically designed to promote education, skills, youth and wellbeing to promote better living conditions and basic human rights. Together with a core team of highly skilled professionals, the Sozo Tribe work hard to fill the lives of the impoverished community with dignity, hope and purpose. Stay Safe is a registered NPO that empowers young girls and women with life skills in self-protection and general safety at home and in the work place. The initiative takes shape through a series of workshops and training sessions conducted by a team of 8 highly trained and experienced self-defence practitioners captained by Sanette Smit, author of The South Africa Woman’s Guide to Self-Defence, and is even endorsed by legendary singer, philanthropist and political activist, Annie Lennox.For more information or to inquire about sponsorship and donations. Sunfield Homes in Wellington is a centre for intellectually disabled adults. Their residents are individual who are unable to function without guidance and protection. The reasons for their diminishing intellectual abilities can be because of injury at birth, due to a motor vehicle accident, sickness, environmental deficiencies, congenital or genetics, like Down Syndrome, Foetal Alcohol Syndrome or oxygen deprivation at birth. Rainbow House can provide care for up to 14 children. The range of facilities available to the care givers are well utilized and include occupational therapy, medical care, psychological support from qualified practitioners as well as healthy exercise, musical stimulation and art therapy to ensure the downward spiral is curbed and reversed. 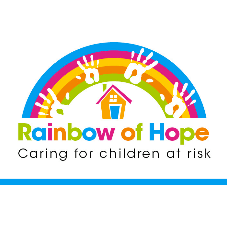 Rainbow House also offers a wide range of workshops in conjunction with other NGO’s) for prospective parents looking to foster or adopt a child, equipping them with the skills and understanding required to care and the support once the child is ready to leave the haven. It was both encouraging and inspirational to work with Bottom up last week, a non-profit organization that positions itself as a catalyst for organizational change in under resourced schools in the Grassy Park, Lotus River and Ottery areas. Bottom up work with schools through their approach to leverage existing resources to improve and enhance a child’s environment. The aim was to create opportunities for adults living on the streets that are committed to reintegration, by supplying temporary shelter, physical care, rehabilitation opportunities and social welfare services. Alongside this they try to reduce the opportunities to continue life on the streets by also promoting community awareness and encourage the public to alleviate the social problems that arise. I was introduced to Zelda not knowing much about the Chaeli Campaign. After she told me their vision and history I was too excited not to get involved! The amazing thing is that the Chaeli campaign was started by five young girls, aged between 6 and 12. Chaeli and her sister, Erin along with their friends, Tarryn, Justine and Chelsea, all sisters, started the campaign to raise R20 000 for Chaeli's motorized wheelchair. This they did by selling cards and Sunshine Pots, which are DIY miniature pot plants. The cards displayed artworks of Erin and Chaeli and is still available. SAYes is a non-profit organisation that trains and supports volunteers to mentor vulnerable young people. Gillian Anderson and Michelle Potter founded the organisation for young people living in children’s homes in South Africa since 2008.Their purpose is to inspire and inform leaders of social change through mentoring. Their mission is to improve social impact, reducing social inequality by creating and supporting youth programmes to do better. The Bookery aims to provide and support school libraries that are under resourced in South Africa. According to them, there is a dramatic shortage in school libraries where over 90% of public schools in South Africa don't even have one functional library. For more than 30 years, the Primary Science Programme's work in the professional development of teachers has been driven by commitment, passion and a 'can-do' attitude towards improving the quality of teaching and learning, particularly in critical subjects such as Maths, Science and Linguistics in some of the poorest and most under-resourced primary schools. I decided to approach the first one-stop center in the country for women, youth and children who have experienced domestic and / or sexual violence in their lives. The vision of the SBCWC is the creation of a safe and secure society within a human rights culture where women and children are empowered to exercise their full rights. I was so lucky to have met Frida from Project Playground and to gift her whole team with family portraits. Project Playground is a non-profit organisation aiming to improve the life opportunities of children and youth through organised social activities and sports with focus on the individual.